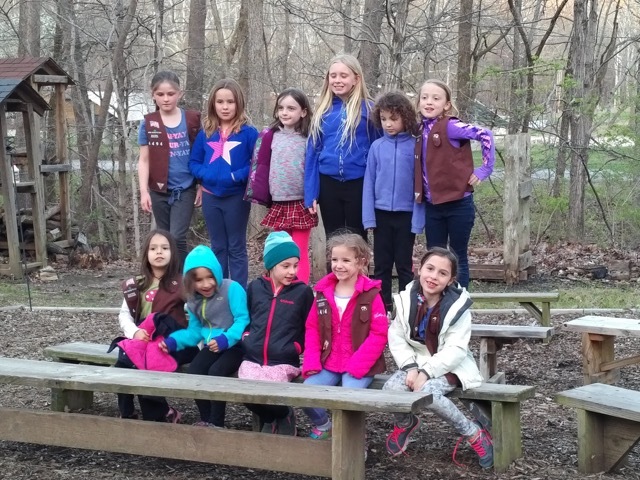 Mrs. Rebecca was invited to join the Villa di Maria Girl Scouts to a wolf howl Friday evening! Many thanks to Marjory Rudiak and Ruth Reese, troop leaders. for organizing the event for the girls! This is a sound recording from the Girl Scouts terrific outing to the Wolf Sanctuary. The folks asked if our group would like to be docents because they listened so intently and could answer so many questions. The first part of the recording is the wolves. Second is our group. We ended the eve with hot chocolate, giggles and smiles along with the smell of campfire as a memory of a great evening with a great pack of VdM pups! Next Next post: Shall We Have Lunch?